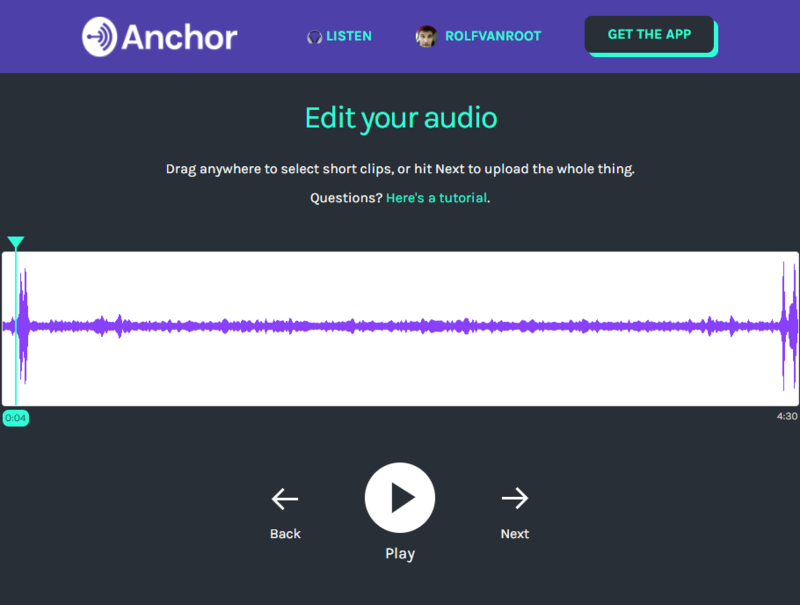 This weeks blog is about the podcasting app Anchor. It is an app both for podcast creators and listeners. But it comes with a lot of features typical for social networks: you can subscribe to radio stations, share or like shows and several other features which could make this app a real gamechanger in the podcasting or radio business. I discovered this app on Twitter and got hooked immediately. Here are the reasons why I think this app is cool. It makes creating a podcast on your smartphone easy. While recording audio on a smartphone and sharing it is really nothing new, Anchor comes with a few extras that make the experience much better. Record a conversation right on your smartphone (even a call), easily add a background music to your recording (choose from existing mood sounds or select a track from Spotify), and publish it. You could have used Soundcloud in the past to publish podcasts recorded on the go, but the platform was not made with podcasters in mind, it just accepted all sorts of audio. Anchor is a platform for the spoken word from ground up. You can easily share a segment of a show to your own profile, which allows you to build your station on Anchor by sharing what you like (similar to a retweet). You could also “call in” to a station and the host could broadcast the discussion live. 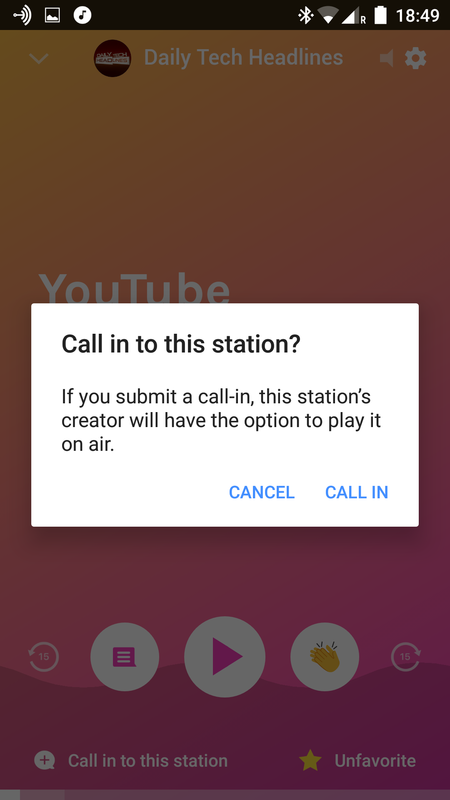 Besides the call in or comment feature you can use the applause function to let the creator know that you like what you hear. For every (English) podcast created you can also create a transcribed video to be published in addition. In 2017 this is no manual work, of course, software is doing the job! This is great when you publish your podcasts via Anchor to Twitter. People can consume your podcast without listening, just by watching a video in silent mode. It does not only work via smartphone. Every user has a profile page that can be accessed via the Anchor website. In addition, you can upload any mp3 file via the web interface. 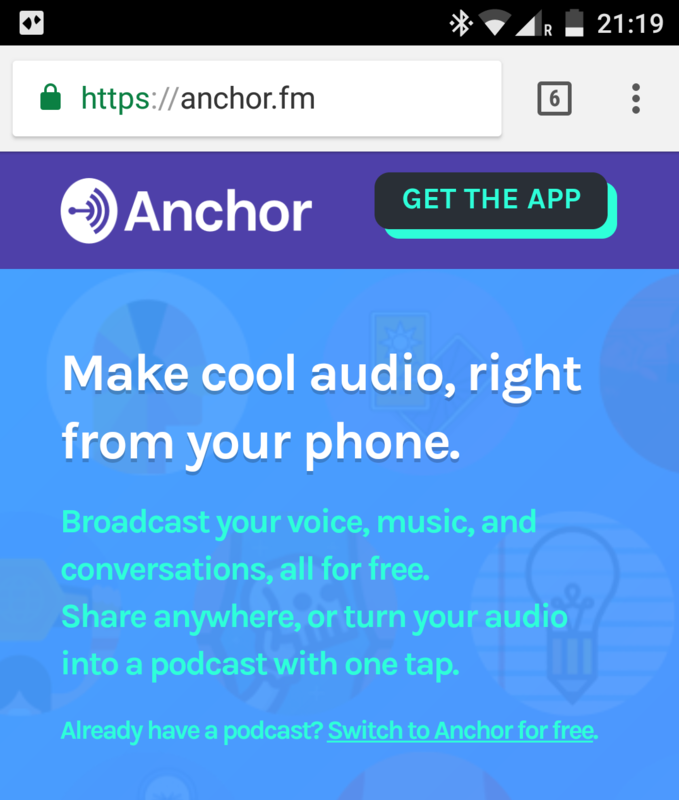 This means Anchor is not only targeting the podcaster on the go but does allow material created any other way to be uploaded. This way it is also a platform where lots of podcasts get republished. Take the example of Daily tech headlines podcast. It is published on iTunes, Soundcloud, Anchor, and potentially other platforms I do not know about. Serving two audiences in one app, both the creator and listener leads to a complicated user experience in the beginning. It took me some time to find my way around in the app and understand the concept. Some people created video tutorials on how to use the app. I told several people about the app, but nobody knew it. I think this will change quickly as soon as more non-US centric content is published and the feature for automatically transcribing your podcast works for other languages too. It will be interesting to follow the platform’s growth and if it will grow into a sort of Facebook for podcasts. The list of investors reads like the whos who of silicon valley. To see what people are publishing on Anchor.fm head over to their Twitter profile. Expect our own first podcast published on Anchor next week. Cover photo by Mike Kotsch on Unsplash.